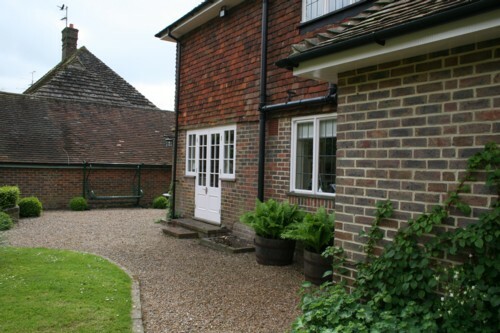 The clients brief was to pave over a large area of untidy gravel that surrounded the rear of their house on two sides, preferably with a natural stone that would complement the house and the remaining area of gravel. 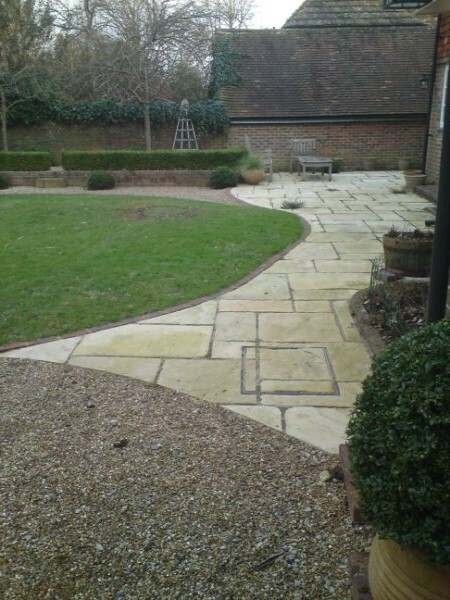 A fine grained English sandstone was used, which weathers with soft yellow/ pink hues. It was laid with large joints, which in places allowed room for low growing plants to be added, and pointed with coarse sand to give an aged appearance.